The first option was an as-is sale, leaving the home in its present condition. This would price the home at Price A. The condition of the home would have limited the pool of buyers primarily investors or buyers interested in a project house. It likely would have had difficulty with financing because of the rear decking. The second option, if possible financially, was to give the home a facelift. My clients were interested in knowing what I’d suggest so I compiled a list and gathered bids. My suggestions were to update the home with new paint, flooring (carpet/tile), updated fixtures (lights, blinds,etc), update the two bathrooms to remove the brass fixtures, secure and repair the rear deck, remove an eyesore patio cover, remove two dead trees, and do an overall clean up the home. By investing funds up front to update the home, the updates would garner a higher sales price and invite more buyers into the home, potentially creating a multiple offer situation and procurement of a great buyer. My sellers chose the second option and we went full speed ahead. I facilitated the work on the home over the next few weeks and we procured two strong offers within three days and accepted a full price offer. Buyers and agents were calling up to the date of closing to see if they could write a backup offer. By investing some funds up front, the sellers were able to net approximately 30K more in net proceeds than they would have otherwise earned on the sale of their home. The buyers loved the home and my sellers were thrilled. I love giving possibilities to my sellers for considerations during the listing process. Sometimes it may be as simple as paring down furniture and strategically placing items around the home to show your home in the best light. Other times it may be a backyard cleanup or quick paint job to show well in photos. I’m here to help and give no-cost options to you and will help facilitate the work by providing a vendor list or help scheduling repairs. Before pics – I unfortunately didn’t take too many! 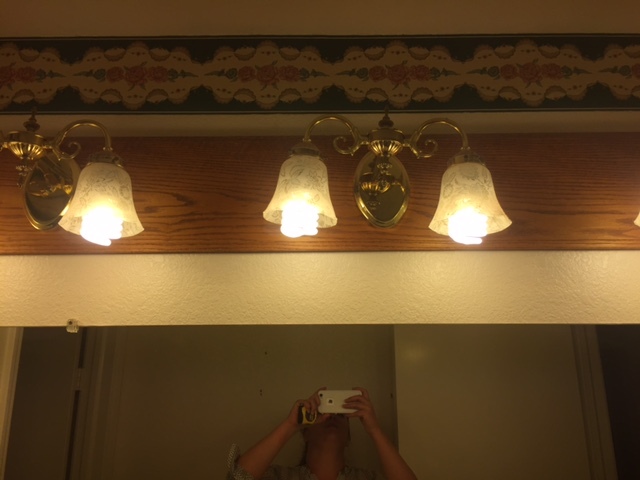 After pics – the reveal!